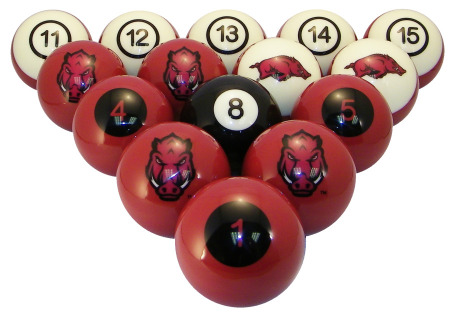 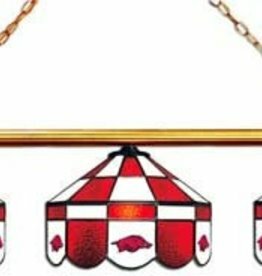 Show off that Razorback Pride with our University of Arkansas Billiard / Pool Ball Set. 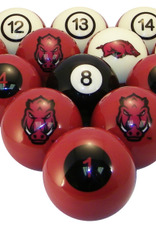 These BCA Standard, 6.0 oz, balls are licensed collegiate balls with a Razorback logo that is a clearer, sharper and more permanent image than is possible with screen-printed, coated graphic balls. 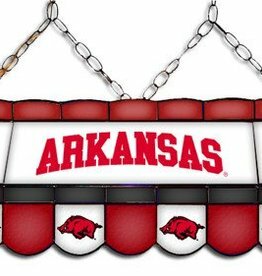 Our Kobo resin ball is produced using a patented Heat Transfer Dye process to create an “embedded print” where the image is molded as part of the ball, which can keep the vibrant color permanently. 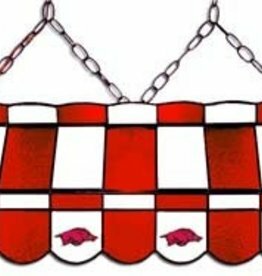 The image will not smear, scuff, crack or fade under the most demanding play. 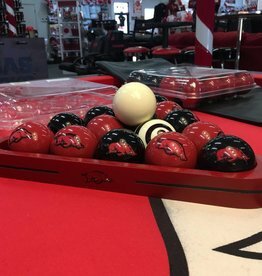 Additionally, the ball’s surface maintains a great density which allows the ball to have perfect equilibrium when it rolls unlike coated finished balls. 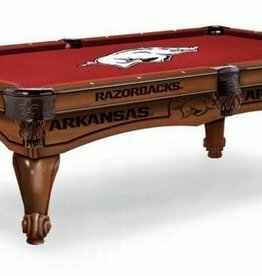 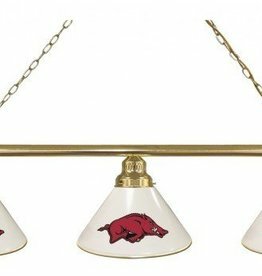 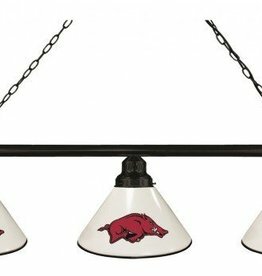 Razorback sports fanatics can display their team on their billiard table or collect all the teams.Just call us at 479-STADIUM for more details about other teams. 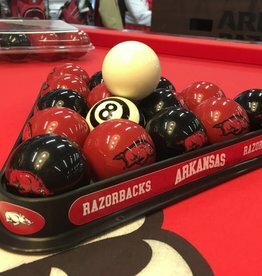 *Billiard Balls are available as a full set with a plain cue and eight ball or you can complete your set with the purchase of the logo Cue or Eight Balls that are sold separately.